Fairy tale holiday package offered at Ireland’s most enchanting resort! Ashford Castle, recently voted ‘Best Resort in Ireland’ in Condé Nast Traveler’s 2011 Gold List invites families this Easter for an activity-packed adventure complete with a traditional Easter egg hunt, a children’s cooking lesson and a visit to the hotel’s resident mascot, Dingle the owl. And who knows, perhaps the Easter bunny will hop on by as well! This special offer, available April 15 to May 2, is priced at €50 (approximately US$68) per child, per day. Special two- and three-night packages are also available April 24-30. Based on double occupancy, the two-night package is priced at €395 (approximately US$540) per person, and the three-night package is priced at €605 (approximately US$827) per person. Set in the stunning landscape of County Mayo, and surrounded by woodlands, lakes, rivers, and mountains, this 13th century castle is a place of magic that will capture the hearts of the whole family. 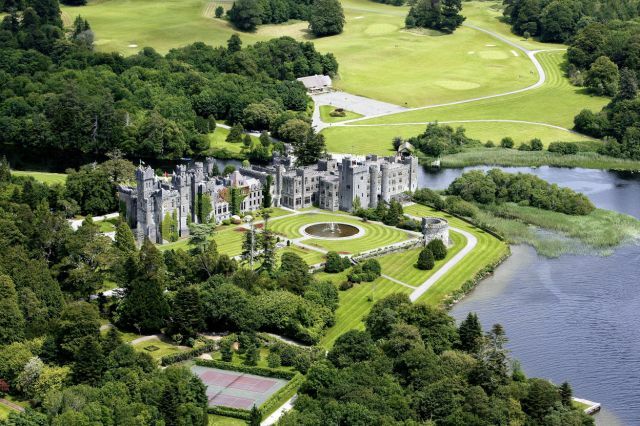 For more information about Ashford Castle and their spring specials check out their website!